Board certified in Canada and United States. We are a private cosmetic dermatology clinic. 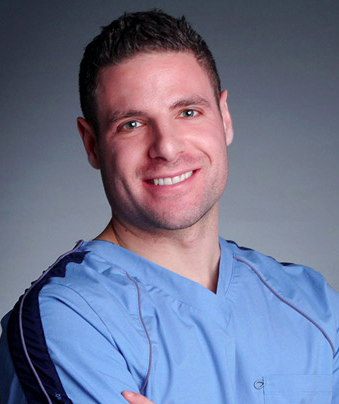 Dr. Munk is a young doctor who is very up to date with all the latest technologies and trends. We offer a wide spread of medical and cosmetic dermatology procedures and offer our patients well-rounded treatment plans. Patient care and satisfaction are extremely important to us. One more thing about me: Dr. Munk is a huge hockey fan! He loves to play ice hockey and also watch his favorite team - The Montreal Canadians. He travels occasionally but with 3 young daughters, he tries to be home as much as possible. 09:00 a.m. - 12:00 p.m. 01:00 p.m. - 04:00 p.m.
09:00 a.m.- 12:00 p.m. 01:00 p.m.- 04:00 p.m. There are no reviews yet for Dr. Roni Munk, but you can be sure to be in good hands. TraveDoc hand-picks all its partners in order to guarantee high quality medical service.